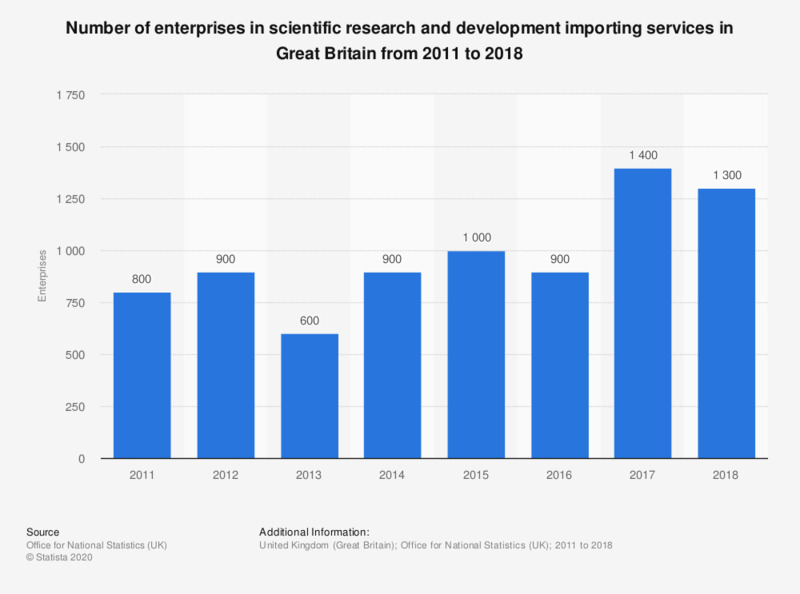 This statistics displays the number of enterprises in scientific research and development importing services in Great Britain from 2011 to 2017. The number increased to 900 in 2012 but declined again by 300 in the following year. The peak was reached in 2017 with 1400 enterprises in this industry.